The Beauty of the Transient – Wie weiter mit Humboldts Erbe? Particularly interesting, in my opinion, is the state of transition in which the old, the “edgy, cranky ethnological museum” (as Johanna di Blasi calls it in her blog post) is still visible, while new exhibition formats provoke specific shifts in perspective, without deliberately wanting to be didactic. In this context, the Humboldt Lab Dahlem (2013-15) was a pioneer in many respects. Situated in the old permanent exhibition halls and foyers of the three Dahlem Museums (the Ethnological Museum, the Museum of Asian Art and the Museum of European Cultures), it was assembled as a rehearsal stage for the Humboldt Forum and followed a decisively explorative approach in which making mistakes was also allowed: Many projects which were in fact meant as the experimental “free leg” to the actual “weight leg” deemed so interesting to the audience that many would have preferred to see the free leg itself as the main act in the future Humboldt Forum1. “Forever Lab!” was the conclusion drawn by one curator involved in several projects, which was screened in an interview sequence in the final exhibition titled “The Laboratory Concept”2. Ethnological museums, with their permanent exhibitions which often remain un-updated for decades, are sometimes – albeit not intended – a kind of time machine, as Donna Haraway describes Carl Akeley’s famous natural history dioramas at the American Museum of Natural History in New York in her essay “Teddy Bear Patriarchy” (1984)3. At the time of writing, they had been on exhibition for five decades in immediate proximity to the ethnological exhibition halls, and still are today. This tension is exactly what applies to many ethnological museums here: their being out-of-time is just as much peculiar as trivial at the same time – the latter at least for all those who grew up with them. The most interesting ethnographic exhibitions in recent years are, in my opinion, those which can also be read as commentaries to this very history of museums; and those which do not banish this commentary into a separate space: whether the much-debated exhibition “Intrinsic Perspectives” (2011-13) in the re-opened Museum der Kulturen in Basel which addresses basic anthropological concepts such as “space”, “agency” or “performance” with its expansive installations of selected objects from all areas, or the many larger and smaller projects of the already mentioned Humboldt Lab Dahlem, which was funded by the German Federal Cultural Foundation with more than four million Euros and at least implicitly always also commented on the exhibition halls surrounding it; the most recent Prolog-Series in the Japanese Palace in Dresden (2016-17) or the exhibition “Foreign Exchange (or the stories you would not tell a stranger)” (2014-15) at the Weltkulturen Museum in Frankfurt, which explicitly engaged with the history of its own collections. Despite all their differences, these projects have in common that they aim at tackling the challenges posed by the critique persisting for quite some time now towards collection and exhibition practices of ethnographic museums. 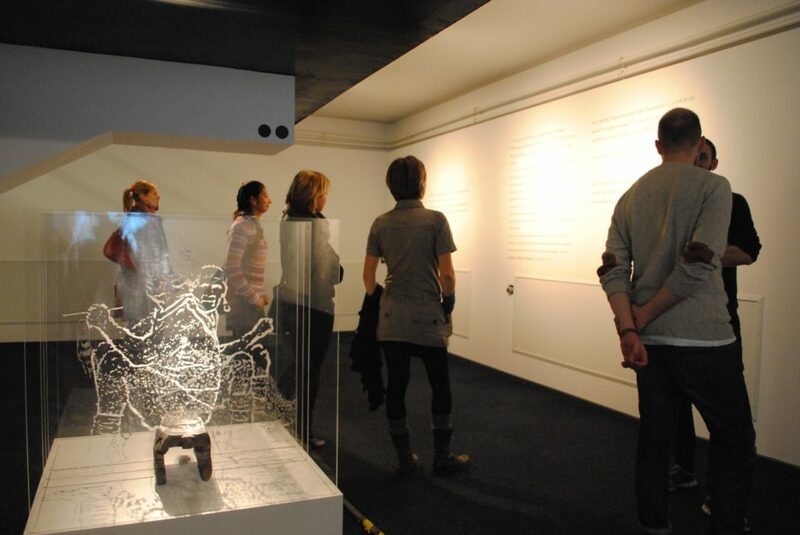 Besides the now strongly demanded research on issues of provenance – a project that will take years or even decades – relatively little public attention has been given to questioning the categories, which are used by museums not only in their depository and administrative structures, but also in the exhibitions themselves. Why is the division of the world into regions and continents still such an unquestioned practice? Does the concept of “world”, which the museums renamed as Weltmuseum are invested in, really correspond with how we envision a practice of ethnological exhibitions in a globally intertwined and globalized present; a practice that claims to also deal with current issues of debate? “The conceptional idea behind the Humboldt Forum is the world in the middle of Berlin. ‘World’ here refers to the world outside Europe. It is our goal to ‘host’ this world within our house, and in line with our educational mission to introduce it to the audience and make it experienceable”4. At least for once, this honestly states what the “world” in ethnographic museums is generally about: it is about the “Others”; Europe as the center continues to be elegantly excluded. “Hosting” the world in the museum and “introducing” it – can this really be the mission of an (ethnographic) museum of the future? And are the much-vaunted cultures of origin actually so easily identifiable? These terms imply the old idea of ethnicity and originality and suggest that the people in question have some kind of authentic relation to the objects. Instead, this paradigm should be replaced by an approach taking up more fundamental questions about the “roots” and the “routes” of objects und humans, which has been a key theme of anthropology since at least the 1980s. 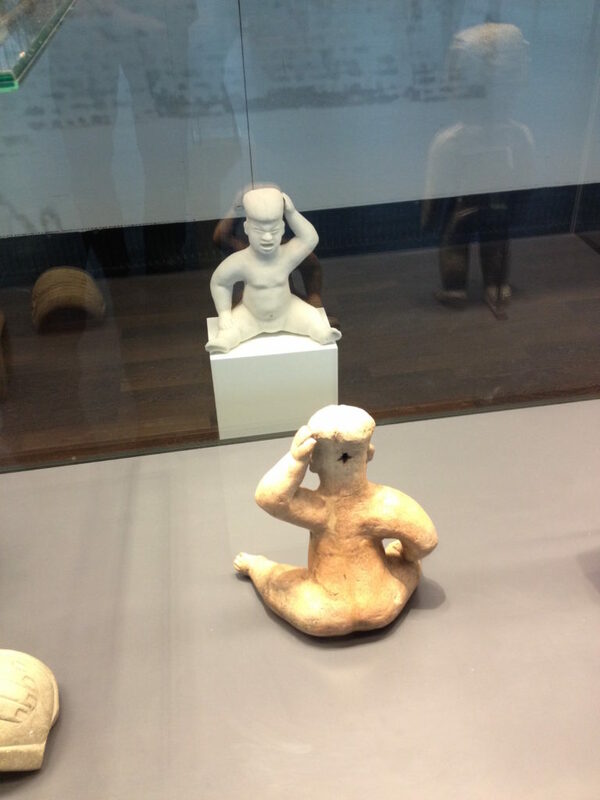 The ethnographic museums sometimes seem to be in a kind of predicament. In order to survive institutionally and to stand their ground among the other museum branches, they rely on the importance of their collections, as well as the number and significance of their “masterpieces” or even the size and prestige of their collections – whereas it almost seems as if in the light of the recent debates on provenance, the latter has suddenly been less voiced as prominently as it was until recently. On the other hand, there are increasing demands to reform, to deal with the origin of the objects, to question their own categories and also to open up institutionally, both with regard to formats and target groups, as well as in terms of the administrative structures and composition of their own staff. This is a balancing act that seems all the more difficult, the greater the public attention and the faster the critics of media and activism are on the spot. In this respect, the term “concept museum”, which Mark Münzel puts forward in his blog post in contrast to the “old ethnographic museum”, may even be the logical consequence, because it seems as if the museums first of all have to rediscover their own social function in this field of tension. They want to do justice to claims of “diversity”, however, this claim clashes just as much with their history (and that of their collections), as the epithet of the Museum Fünf Kontinente in Munich “Cosmopolitan since 1882” with the issue of colonial appropriation5. In order to be able to find their social function, the museums should perhaps precisely conceive of themselves as concept museums; in the sense that it is necessary to both question the concepts and theories underlying them and search for new ones. What the museums then exactly call themselves– whether they continue to be “ethnographic museums” rather than something with “world” or “continent” is in fact secondary, if their self-understanding only corresponds with contemporary university anthropology. That means being transdisciplinary, internationally connected, involved in addressing current research questions and with regard to this linked to university research through joint projects. This is already the case at several locations, such as most recently at the Linden-Museum Stuttgart, and further cooperation is sure to follow6. And finally also with regard to the prospect of engaging a broader and more diverse audience than ethnological journals usually do. However, engagement not understood in the sense of a didactic one-way street, but as a specific research practice which takes into account the diversity of the actors involved, objects and spatial settings, and in doing so, also openly discusses the difficulties of representation. As not every ethnological issue can easily be “mediated” in public; not everything can be exhibited, especially not with the given historical collections – this too should be the subject of reflection. But, let’s return to the exhibitions. What distinguishes the above-mentioned projects in Basel, Berlin, Dresden and Frankfurt among a few others, is that they not only draw on the current debates and reflect them in the topics and formats of their exhibitions. 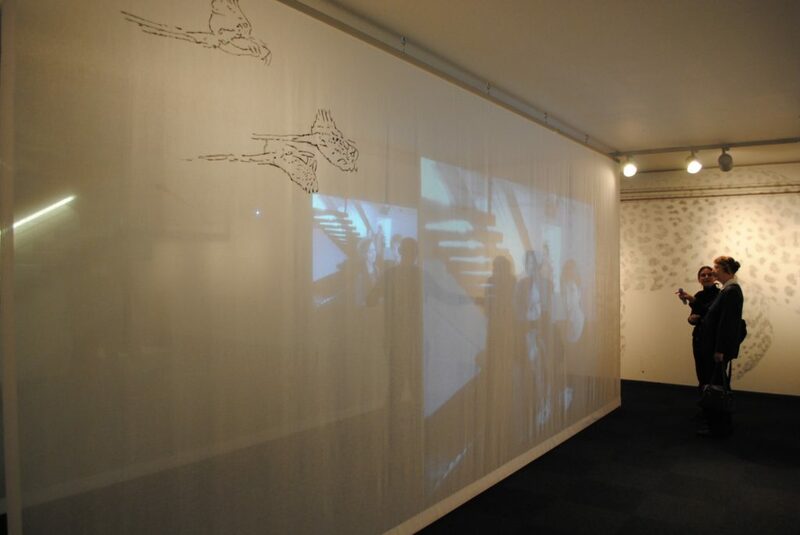 They have also fueled the debate themselves; they managed – even if sometimes only locally – to shift the discussions and, as was the case for example with “Intrinsic Perspectives” in Basel, to achieve an acceptance for new approaches to exhibiting even among those who had initially expressed great criticism towards the new contents and scenographic approaches. This, for example, because they saw themselves deprived of objects in the rather sparsely assembled exhibitions or perceived the approach as too academic. 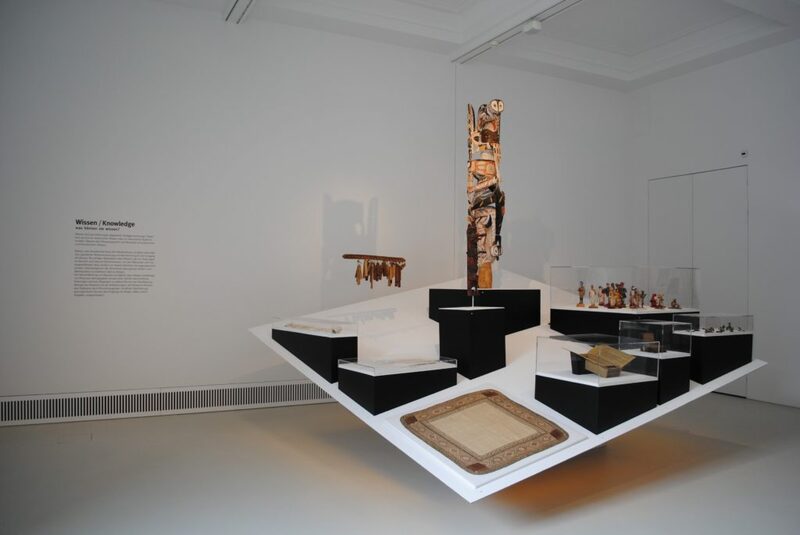 Thus, some of the exhibitions themselves have become part of the discussion about how to adequately deal with ethnological collections in exhibition practice. They have positioned themselves – in the best sense of the word. 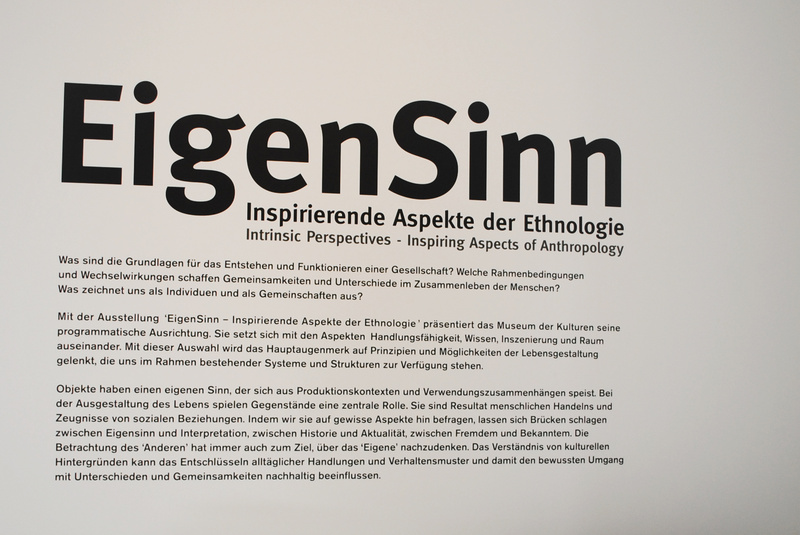 So, if ethnological museums see themselves as concept museums in this sense, then they can be more than just partners of university anthropology, whose goal it is to convey the topics and issues to a much broader and more diverse audience (and even such a cooperation would be desirable in many cases!). They themselves could become immensely productive arenas for the exploration of new knowledge formats for anthropology as well as the other neighboring disciplines such as the cultural and social sciences. Spaces, in which material and visual cultures and current anthropological theories could productively engage with each other and be made sensually experienceable in three-dimensional space. In doing so, they do not merely display anthropological debates or attempt to translate them into adequate exhibition formats, but rather acknowledge the formats themselves in their productive potential and make them fruitful for a broader public – and also for anthropological research itself. The former managing director of the Humboldt Lab Dahlem, Agnes Wegner, emphasized in a round table for the Lab’s final publication, which I was also involved in, the crucial importance of openness and responsiveness to critique of a project like the Humboldt Lab Dahlem, and how this was only possible due to the relative autonomy from precisely those hierarchical and strictly organized structures, in which the lab was set up: “A laboratory that acts independently of existing hierarchies can keep an institution open to external influences and fragile experiments that can certainly be criticised by the public. Besides the frequently mentioned possibility of failure, this fragility primarily makes it possible to be open, to meet others.”9 These encounters were highly productive in many of the rehearsal spaces of the Lab. And where they were not successful, one could very often learn from them nevertheless. On the whole, however, the main insight the Lab enabled was that it revealed the paradox of intervention into the planning of the Humboldt Forum: on the one hand, it provided a space of possibilities, and on the other, it also highlighted the limits of what is possible in the planning of the exhibitions for the Berlin Palace.10 This has already become evident today in the fact that the Humboldt Lab Dahlem designed as a largescale rehearsal stage with such high visibility is unfortunately hardly invoked in the further planning anymore. 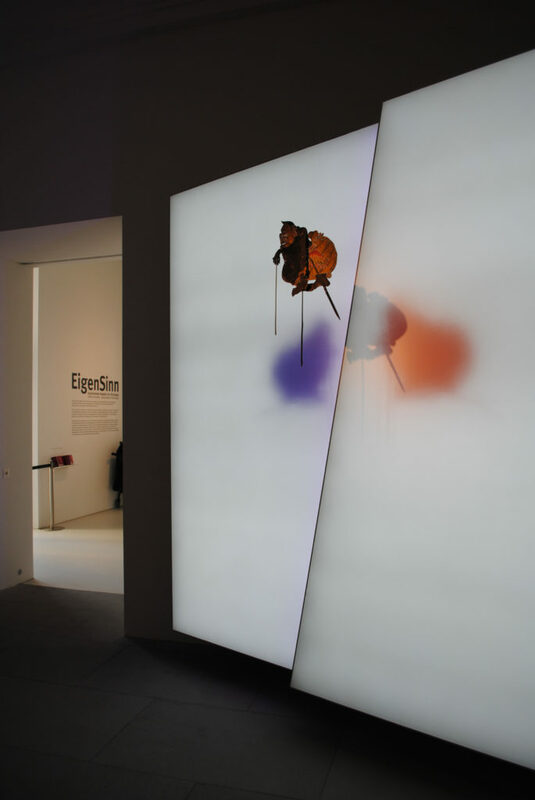 To a certain extent, this may be due to the fact that the installation-style character of most of the lab projects did not correspond with the design for the Berlin Palace exhibitions, which had already developed quite far when the Humboldt Lab Dahlem began. It may also be because since the end of the Lab, there have been so profound changes in structure and personnel within the organization of the Humboldt Forum that among the current directors there seems to be no one really who likes to claim the Lab as a model. Nevertheless, the experimental approach which was applied so successfully in this context should, in my view, not simply be banished into the history of the long planning of the Humboldt Forum. Instead, this kind of collaboration in such a broad interdisciplinary constellation and the exploratory approach characteristic of the lab can be fertile for the further planning beyond 2019 – and in fact, for any museum! Agnes Wegner ended the round table exchange with the following words: “We should create places where everything isn’t evaluated from the very start – no killing right away! 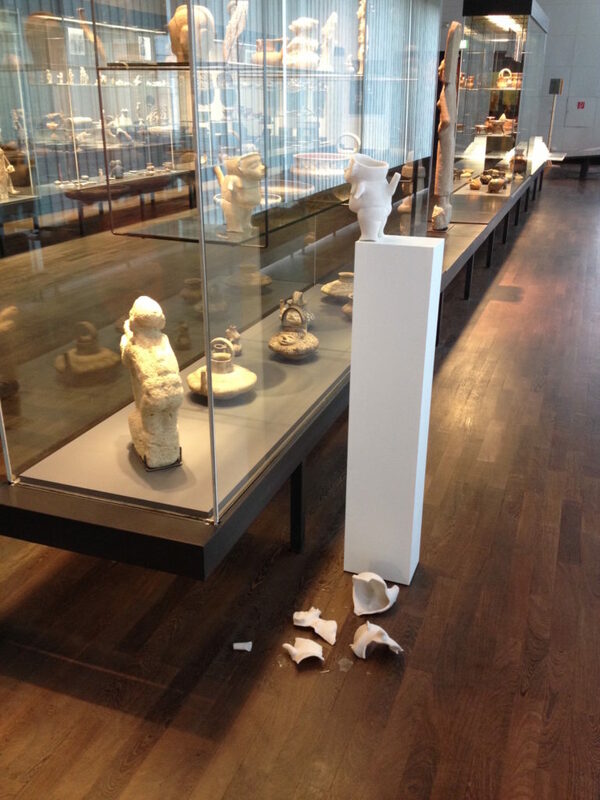 Particularly in such a complicated world, the beauty of fragility has to be maintained – it is even absolutely necessary that we do so.”11 This aspect should receive the necessary attention in the further discussion on new approaches to collections and the issue of exhibition formats which this inevitably implies – whether in the Humboldt Forum or other places. Friedrich von Bose is curator of the Humboldt Laboratory, the interdisciplinary exhibition space of Humboldt University at the Humboldt Forum, and based at the Hermann von Helmholtz Center for Cultural Techniques at Humboldt Universität zu Berlin. After studying European Ethnology in Berlin and Berkeley, he worked as a lecturer and research associate at the Berlin Institute for European Ethnology from 2009 to 2015, where he completed his PhD in 2014 with an ethnography on the planning process of the Humboldt Forum (http://www.kulturverlag-kadmos.de /buch/das-humboldt-forum.html). Prior to his work as a curator for the Humboldt Laboratory, he was a member of the planning staff of the Stadtmuseum Stuttgart and senior consultant in a communications agency based in Basel focussing on urban development and infrastructure projects. His recent publications on the topic include “Strategische Reflexivität. Das Humboldt Forum und die postkoloniale Kritik” [Strategic Reflexivity. The Humboldt Forum and Postcolonial Critique] (Historische Anthropologie 25/3, 2017, pp. 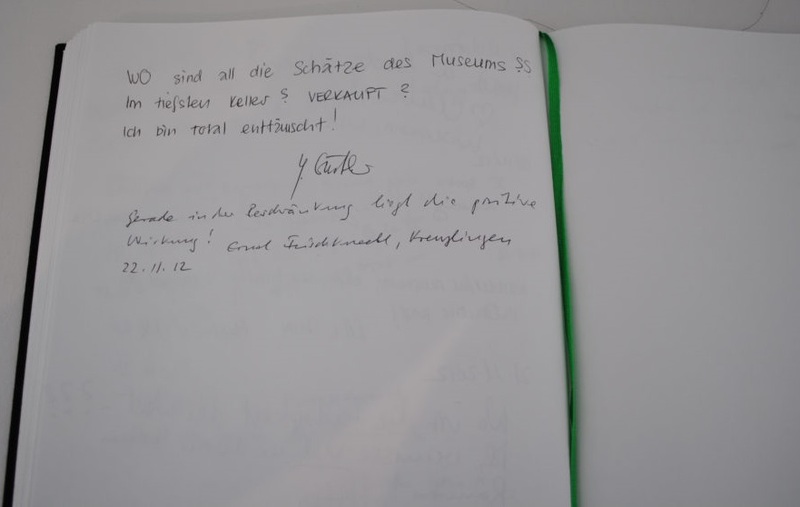 409-417) and “Labor im Museum – Museum als Labor? 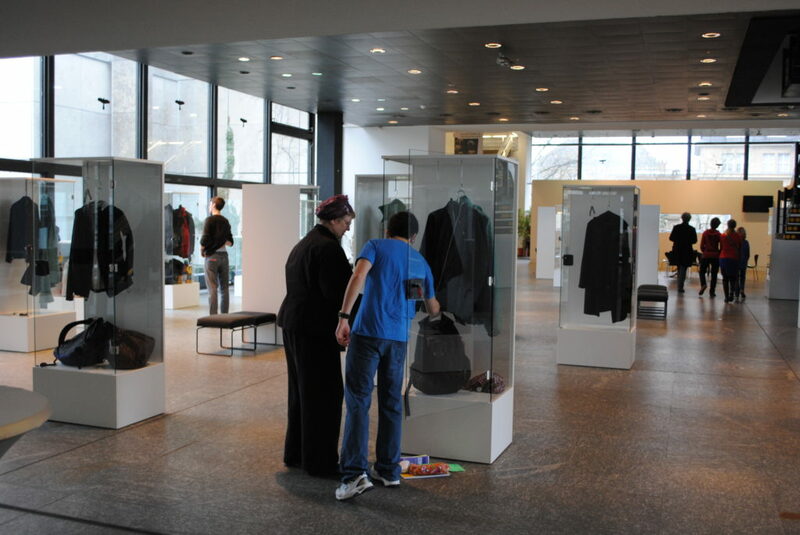 Zur Ausstellung als sinnlich-ästhetischem Format“ [Laboratory in the Museum – Museum as a Laboratory? On exhibitions as a sensory-aesthetic format] (in: Karl Braun et al. (eds. ): Kulturen der Sinne. Zugänge zur Sensualität der sozialen Welt. Würzburg 2017, pp. 347-357). 2 The laboratory concept is also used quiet prominently elsewhere within the design of the Humboldt Forum, namely in the Humboldt Laboratory, the interdisciplinary exhibition space of the Humboldt University/Berlin at the Humboldt Forum, whose curator team I am a part of. While the two projects have no institutional connection, the Humboldt Lab Dahlem has nevertheless been in many ways a source of inspiration for the conceptual design of the Humboldt Laboratory. 3 Donna Haraway: Teddy Bear Patriarchy: Taxidermy in the Garden of Eden, New York City, 1908-1936. In: Social Text 11 (1984-1985), pp. 20-64, p. 23. 4 Ethnologisches Museum Berlin: Konzept zur Präsentation der außereuropäischen Sammlungen im Humboldt-Forum 2008. In: Viola König, Andrea Scholz (Hrsg. ): Humboldt-Forum. Der lange Weg 1999−2012. Baessler-Archiv, Beiträge zur Völkerkunde 59 (2011), pp. 113−185, p. 124 (our translation). 6 See the two-year research project (April 2016-March 2018) titled “Difficult Heritage”, which addresses the museological and scientific treatment of colonial objects in ethnographic museums and is a cooperation between the Eberhard Karls University Tübingen (Institute of Asian and Oriental Studies and Department for Historical and Cultural Anthropology) and the Linden-Museum Stuttgart. 7 See, for example, Viola König, cit. in Friedrich von Bose (2016): Das Humboldt-Forum. Eine Ethnografie seiner Planung. Berlin: Kadmos, p. 11. 9 Friedrich von Bose, Agnes Wegner, Harald Katzmair and Juri Steiner (2015): Productive Energy through Differences. The Laboratory Principle as a Space for Opportunities. In: Humboldt Lab Dahlem (ed. ): The Laboratory Principle. Berlin: Nicolai, 2015, pp. 44–52, p. 51. 11 von Bose/Wegner/Katzmair/Steiner 2015, p. 52.